Mirrors are versatile home accessories which you can use to check yourself before leaving the house, to make a tiny room look large, or to brighten up a dark area. With the right design, a mirror can enhance the style of a room where it is located. 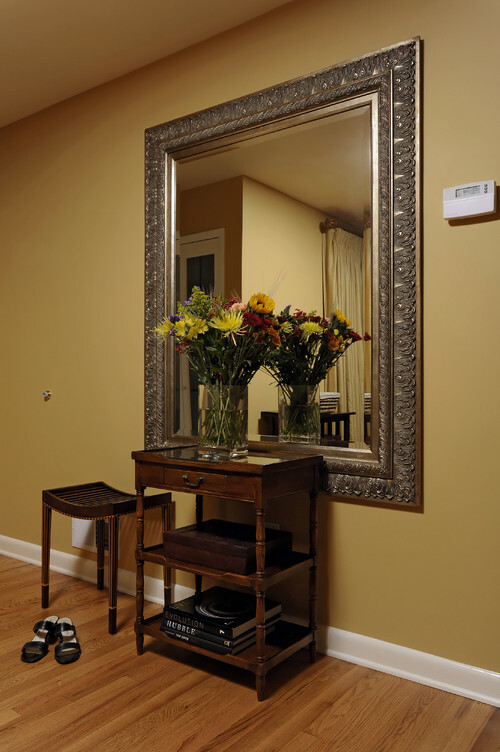 Incorporate mirrors when decorating a space and maximize the benefits mirrors can give. There are many mirrors available in the market, from standard and generic-looking ones to large and custom made mirrors. You can choose from various sizes and shapes. When getting a mirror, think about its purpose in the room. Will you use it to create the illusion of space? Do you need it for your grooming activities? Do you need the mirror for your walk-in closet? Your reason will trim down your mirror choices. One way to use a mirror is to make it a statement piece or a focal point in a room. Oversized mirrors do wonders in this design goal. With its size, a large mirror can definitely attract people focus their attention to it. One spot that can benefit from a large mirror is the entry way. Let a beautiful mirror welcome you and your guests as you enter your home. When you go out of the house, you can do a final check of yourself since the mirror is in a convenient location. Choose a mirror with a frame that complements the style of the entry. 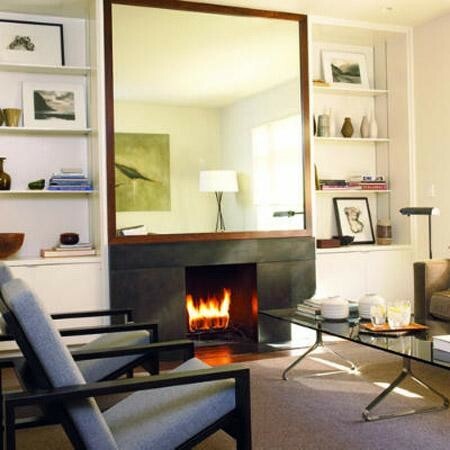 Add an oversized mirror in the living room. It is simple yet stylish, enhancing the style of the room. The wide glass reflects a large area, making the room look spacious; and it reflects natural light to illuminate the space. The dining room is one of the best locations for a huge mirror. The room always have a variety of light sources such as chandelier, candle sticks, and pin lights and a mirror will beautifully reflect light and illuminate the space. You can create a lively atmosphere or a romantic ambience by using the right mirror and light fixtures. 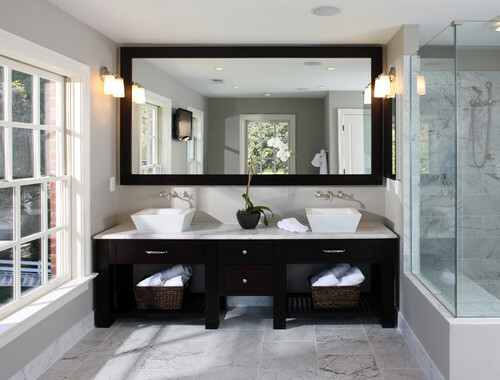 A mirror is a practical and functional item to have in the bathroom. Securely install a big mirror over the vanity or have a floor mirror in one corner. The mirror should be placed where it is convenient for you to see yourself as you do your morning ritual, do your makeup or fix your hair. MirrorLot provides oversized mirrors for the home, office, or any business establishment. We have a wide array of glasses and frames for you to choose from. 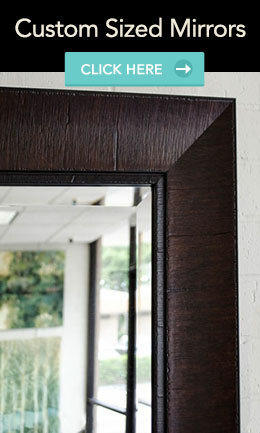 Visit our website at www.mirrorlot.com and browse through our extensive list of mirrors.